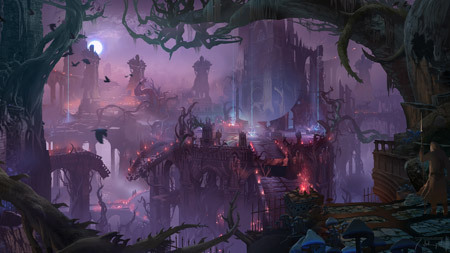 The second classic League of Legends map, the Twisted Treeline typically features faster, bloodier matches with an emphasis on ganking and small scale skirmishes. You achieve victory by pushing your way into the opposing base and destroying the enemy nexus. 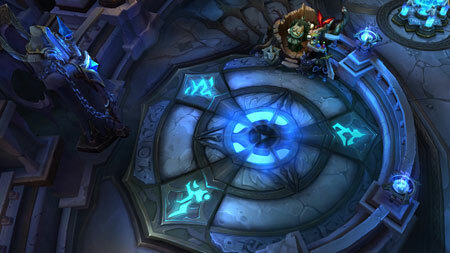 A smaller map than Summoner’s Rift, the Twisted Treeline is configured horizontally, with two lanes flanking a neutral area. Two turrets are placed along the length of each lane, and the nexus is defended by a single turret. Teams are composed of three champions apiece, and each champion spawns with a substantial sum of gold. The reduced map size and accelerated level curve makes for a shorter game length and higher kill scores. 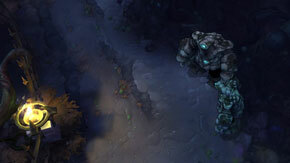 Twisted Treeline’s single, centralized jungle offers multiple access routes to both lanes, promoting fast ganks and aggressive counter-jungling. Junglers on Twisted Treeline typically engage enemy players early and often, coming to the aid of either lane, or leading the attack on the opponent’s altar. Expect plenty of action in neutral areas on this Field of Justice. 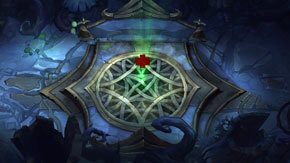 The jungle on Twisted Treeline contains two capturable altars that provide a bonus to the controlling team. Holding a single altar grants addition gold on each minion kill. Holding both altars simultaneously grants a substantial attack damage and ability power bonus. Capturing an altar causes it to enter a locked state for several minutes, preventing enemy players from seizing control. 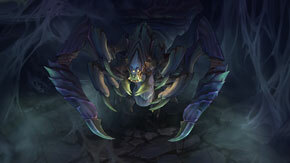 The toughest neutral monster on the Twisted Treeline, this massive undead spider represents a significant threat for a full team of champions. Defeating Vilemaw grants bonus gold along with a team-wide buff to attack speed, cooldown reduction, health and mana regeneration.